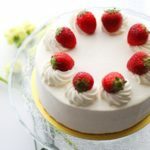 Japanese strawberry shortcake is a layered cake with whipped cream and strawberries. 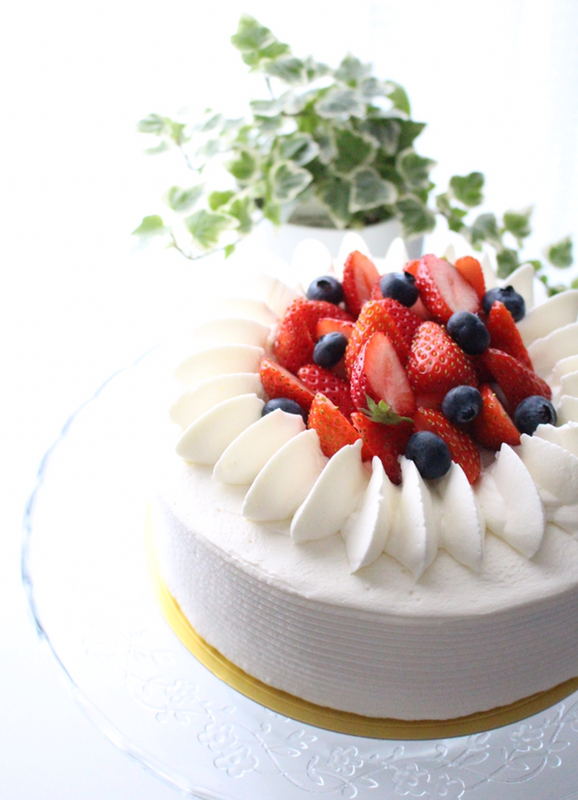 It’s the most popular and classic cake in Japan. For birthdays, Christmas, any type of celebration, or just daily dessert, we enjoy this cake. If you ask Japanese people “Please draw any kind of cake”, everyone would draw this cake. It was introduced around 1920, it may have originated in the US or UK which was a variation using a biscuit and strawberries. Japanese people prefer light, fluffy, soft and not too sweet sweets so it’s invented the Japanese way. 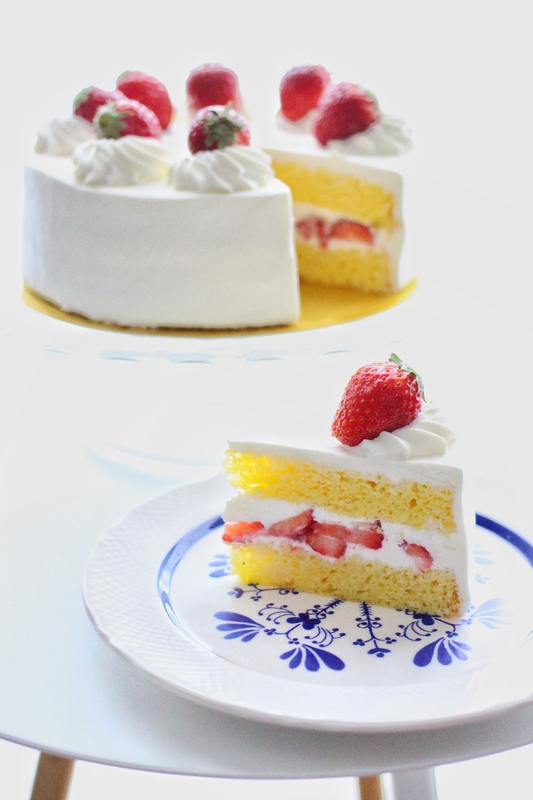 Inspired by the western version, Japanese modified this dessert to use a lighter, more moist sponge cake. It’s really simple, but it’s important to know some tips and techniques to create the perfect sponge cake. As a pastry chef, to be able to make the perfect short cake is one of the most important professional skills. This is a professional recipe but you can make it at home. I hope you enjoy the most popular cake in Japan! Preheat the oven to 180°C/350°F. Line the 18cm-7inch cake tin with baking paper. Shift the flour twice. Melt the butter and milk together. Whisk the egg and sugar with an electric mixer until it gets thick. Add the melted butter and milk and mix them from the bottom to the top. Pour into the prepared tin and bake it in the preheated oven at 180°C/350°F for 25-30min. For the syrup, mix water and sugar in a medium saucepan and bring it to the boil and let it cool. Whisk whipping cream and sugar until slightly thickened. Slice the sponge cake into 2 equal layers. Slice the strawberries. Place one sponge layer and brush with the syrup. Spread the whipped cream and arrange the sliced strawberries on it. Spread the cream again on the strawberries to cover them. Place the other sponge layer brush with the syrup again. Frost the sides and top of the cake with the whipped cream. Decorate with the remaining whipped cream and strawberries. Whisk the egg and sugar until it gets very thick. Once you add the butter, you have to mix and put it into an oven as soon as possible, because butter has a special ability of breaking egg’s air bubbles. So it’s very important to mix the butter quickly.